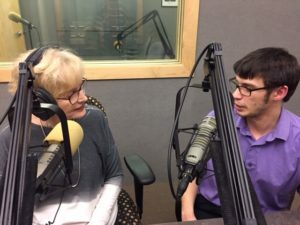 Yes, it has been 25 years since John DeMain accepted the baton at the Madison Symphony Orchestra, and John and Barbara DeMain made Madison their home. Some wonder, where did the time go? John and Barbara look back on the 25 years and see it as continuous moments of change on the cultural scene in the Greater Madison community and, on a personal note, a great place to raise their daughter, Jennifer. 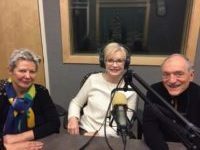 On this program, Barbara and John DeMain weave between their personal and professional lives and interests to give us a glimpse into the life they enjoy together. Having the joy and benefits of music increasingly become part of the fabric of the community is a passion they both share. Guest: Adam VanSpankeren, Lead Navigator, Covering Wisconsin, Inc. Many people are confused about the status of the Affordable Care Act. Did it get repealed? Has it changed? “The Affordable Care Act is alive and well in Wisconsin, and not much has changed,” says Adam VanSpankeren. The essential benefits mandated in the Affordable Care Act remain in tact as do the subsidies to help people pay for their health insurance premiums based on their income. 80% of those who sign up receive a subsidy to help pay for their premium. 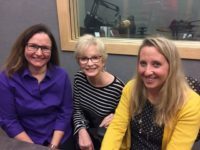 Among the benefits, the ACA ensures people cannot be refused coverage based on pre-existing conditions, cannot be charged different prices based on their health status, and cannot have annual and lifetime caps imposed on coverage by their health insurance provider. The health insurance providers are all private insurance companies whose ACA plans can be viewed and compared on healthcare.gov. On this program, Adam VanSpankeren does a tutorial on the ACA and walks us through a typical appointment with an individual or family wishing to sign up for health insurance on the ACA marketplace. Many free resources are available to help consumers sign up for health insurance including insurance agents, brokers, navigators, certified application counselors and health system and qualified health plan financial counselors. 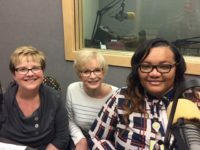 Consumers should call 2-1-1 to connect to free enrollment help or go online to schedule an appointment at coveringwi.org/enroll. Consumers can also shop on their own online at healthcare.gov. For 2019 coverage, consumers must renew or sign up for coverage by December 15. Alice in Dairyland is an icon in Wisconsin. Now in her 71st year, this communications specialist, a full-time civil service employee at the Wisconsin Department of Agriculture, Trade and Consumer Protection, is selected each year to educate consumers about the importance of agriculture to Wisconsin’s economy and way of life. 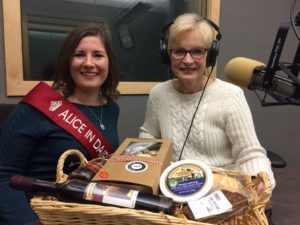 On this program, Kaitlyn Riley, Wisconsin’s 71st Alice in Dairyland, talks about her life as Alice and showcases some of the many ideas that emerge for the holidays from our own winter wonderland. If a product is labeled “Something Special from Wisconsin,” that means at least half of its ingredients or components are grown or made right here in Wisconsin. And there is plenty to choose from. In this era of buy local, eat local, enjoy local, the choice is no greater than what we can find right here in Wisconsin. Get in the holiday spirit as Alice in Dairyland kicks off this holiday season.